Reblogged from Brain Pickings because I really love this blog! 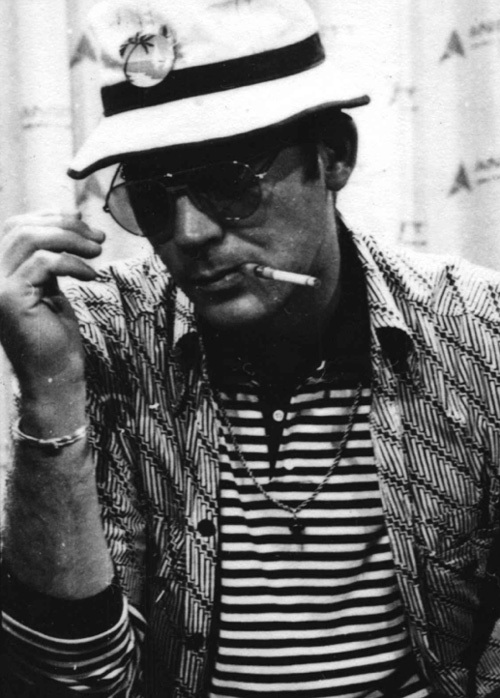 As a hopeless lover of both letters and famous advice, I was delighted to discover a letter 20-year-old Hunter S. Thompson — gonzo journalism godfather, pundit of media politics, dark philosopher — penned to his friend Hume Logan in 1958. 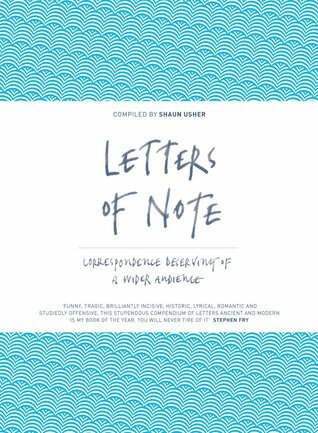 Found in Letters of Note: Correspondence Deserving of a Wider Audience (public library) — the aptly titled, superb collection based on Shaun Usher’s indispensable website of the same name — the letter is an exquisite addition to luminaries’ reflections on the meaning of life, speaking to what it really means to find your purpose. To give advice to a man who asks what to do with his life implies something very close to egomania. To presume to point a man to the right and ultimate goal — to point with a trembling finger in the RIGHT direction is something only a fool would take upon himself. And indeed, that IS the question: whether to float with the tide, or to swim for a goal. It is a choice we must all make consciously or unconsciously at one time in our lives. So few people understand this! Think of any decision you’ve ever made which had a bearing on your future: I may be wrong, but I don’t see how it could have been anything but a choice however indirect — between the two things I’ve mentioned: the floating or the swimming. The answer — and, in a sense, the tragedy of life — is that we seek to understand the goal and not the man. We set up a goal which demands of us certain things: and we do these things. We adjust to the demands of a concept which CANNOT be valid. When you were young, let us say that you wanted to be a fireman. I feel reasonably safe in saying that you no longer want to be a fireman. Why? Because your perspective has changed. It’s not the fireman who has changed, but you. Every man is the sum total of his reactions to experience. As your experiences differ and multiply, you become a different man, and hence your perspective changes. This goes on and on. Every reaction is a learning process; every significant experience alters your perspective. The answer, then, must not deal with goals at all, or not with tangible goals, anyway. It would take reams of paper to develop this subject to fulfillment. God only knows how many books have been written on “the meaning of man” and that sort of thing, and god only knows how many people have pondered the subject. (I use the term “god only knows” purely as an expression. )* There’s very little sense in my trying to give it up to you in the proverbial nutshell, because I’m the first to admit my absolute lack of qualifications for reducing the meaning of life to one or two paragraphs. To put our faith in tangible goals would seem to be, at best, unwise. So we do not strive to be firemen, we do not strive to be bankers, nor policemen, nor doctors. WE STRIVE TO BE OURSELVES. In short, he has not dedicated his life to reaching a pre-defined goal, but he has rather chosen a way of life he KNOWS he will enjoy. The goal is absolutely secondary: it is the functioning toward the goal which is important. And it seems almost ridiculous to say that a man MUST function in a pattern of his own choosing; for to let another man define your own goals is to give up one of the most meaningful aspects of life — the definitive act of will which makes a man an individual. I’m not trying to send you out “on the road” in search of Valhalla, but merely pointing out that it is not necessary to accept the choices handed down to you by life as you know it. There is more to it than that — no one HAS to do something he doesn’t want to do for the rest of his life. Both reflecting and supporting Usher’s heartening echelon of independent online scholarship and journalism at the intersection of the editorial and the curatorial, Letters of Note is brimming with other such timeless treasures from such diverse icons and Brain Pickings favorites as E. B. White, Virginia Woolf, Ursula Nordstrom, Nick Cave, Ray Bradbury, Amelia Earhart, Galileo Galilei, and more. * See Anaïs Nin’s equally delightful disclaimer about the usage of the g-word.